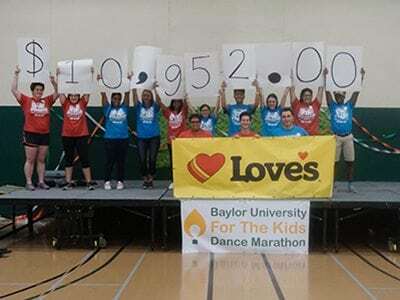 Baylor University held their second Dance Marathon on October 15 where Love’s Travel Stops was pleased to be a regional sponsor for the event. With support from Love’s, Baylor was able to build on the success of the first year. Baylor’s equestrian, women’s basketball and women’s volleyball teams all made appearances to meet the visiting families and hang out with the dancers, as well as participate in activities and games to engage and involve new participants. At the end of the event, Baylor’s Dance Marathon met and surpassed its goal for the year, revealing a final fundraising total of $10,952!